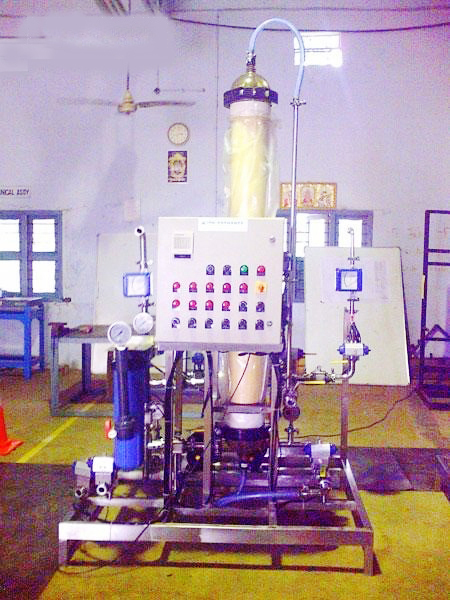 The Ultra filtration unit includes Hollow Fiber 100 KD Membranes; Product Water Tank & Piping, on a skid-mounted system. 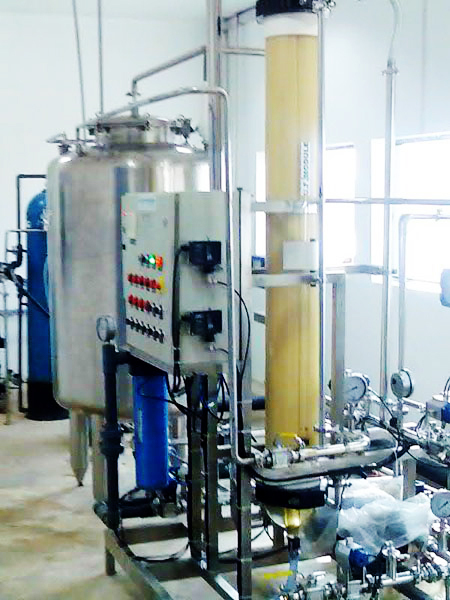 The main objective of Ultra filtration is to removes SDI causing particles in the process and it will also remove Bacteria, viruses, colloidal silica, fine sand etc. Thus reducing the SDI of the water to less than 3. Feeding water having SDI 3 will increases the efficiency of Reverse Osmosis Unit and eliminate the chances of membrane choking. Back flushing needs to be done periodically for a minute automatically with the filtered water/UF permeate water resp. The UF system works typically on 90% recovery with the filtered water and 10% is the reject The system can have chemical enhanced backwash HCL & NaOCl. Ultrafiltration in the pre-treatment for removal of colloidal silica & micron suspended solids to RO feed & to ensure SDI less than 3.0. This minimizes the fouling of RO by particulates and other suspended impurities.